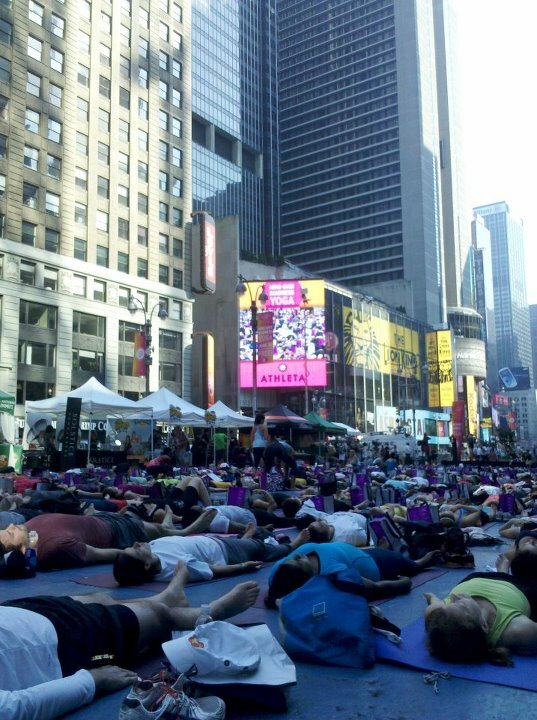 This picture was recently posted on Huffington Post’s Religion’s Facebook page with the caption “Thousands of yoga enthusiasts convened in New York’s Times Square to mark the summer solstice, Wednesday, June 20, 2012. What do you think of yoga as a spiritual practice?”. It was enough to produce a rather passionate discussion on whether yoga is a spiritual practice. The picture was actually taken from the Mind Over Madness Yoga, a Summer Solstice event that occurred in New York Times Square for free. The discussion sparked conflicting views among different individuals. Some felt that yoga was a great way to connect with one’s Creator regardless of religion. At the same time, there are also others who feel that yoga is more spiritual compared to church. Then, there are some that take it as simply a physical activity without any links to spirituality. Here are some of the comments in the discussion. For the full story, check it out here. Yoga is something that you choose what you wish to make out of it. Your perception and opinions might differ from that of others, but that doesn’t necessarily mean that you are wrong. It is how you personally regard and want it to be from your own perspective that truly matters. It is definitely not a form of religion. To some, it may purely be a physical workout to keep in shape, while to others, it may be more of a fitness regime along with spiritual guidance and enlightenment. What are your personal opinions about yoga? Has it helped you in any way or allowed you to see things differently? Let us know! If you haven’t experienced yoga before and would like to give it a try, check out OMG Yoga! We are situated in Singapore and we deal mainly with private classes. Do refer to our website for more information.